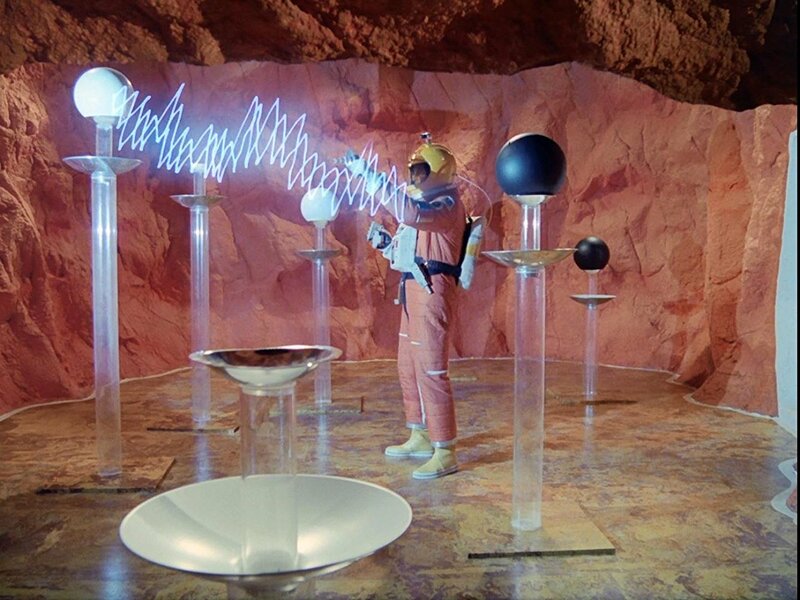 John Kenneth Muir's Reflections on Cult Movies and Classic TV: Breakaway 2018: "The AB Chrysalis"
For two weeks, Earth’s errant moon has been approaching a series of cosmic explosions. The detonation recurs every twelve hours, and each time, Alpha is damaged more heavily. The next detonation will destroy the base completely. The source of the explosions -- a planetary system ahead -- is discovered by Maya (Catherine Schell), and Commander Koenig (Martin Landau) launches a team to investigate. The first world approached in that system is a small moon, where a series of mechanical stations exist. These stations are the energy-gathering devices for the recurring, man-made explosions. Koenig and Alan Carter (Nick Tate) speak with Voice Probe 248, an automaton who informs the Alphans that his makers -- who have not yet been “born” -- live in an inhospitable atmosphere of poisonous chlorine gas. The explosions occur to protect the race during its chrysalis stage. Koenig begs for an audience, and is told that “The Guardian,” the last of the race's current iteration, is currently outside the chrysalis stage, and still conscious on the planet. Koenig and his team travel there, only to learn that the Guardian is senile, and unable to respond to their request to stop the next explosion. Carter accidentally breaks the atmospheric seal/glass on the Guardian’s chamber, threatening the alien’s life, and weakening their case for mercy. Two of the life-forms -- A (Ina Skriver) and B (Sarah Douglas) -- emerge from chrysalis form, and Koenig must convince them to stop the next detonation, lest Alpha be reduced to rubble. “The AB Chrysalis” is a weird and a wonderful episode of Space: 1999 (1975-1977), and one that demonstrates the possibilities of the Year Two format. 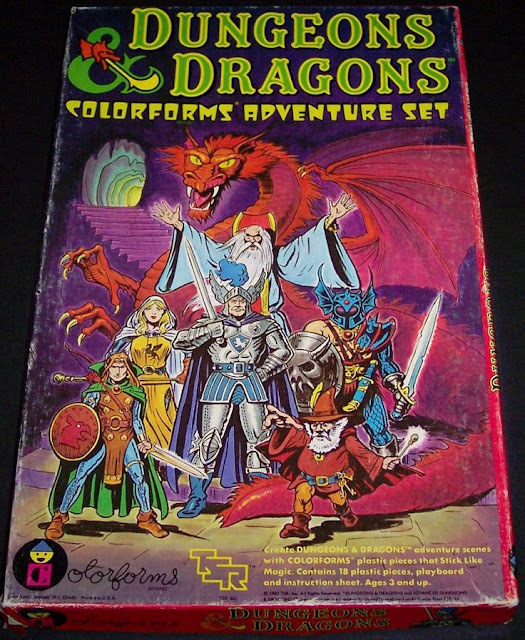 The episode is colorful, suspenseful, and highly-imaginative. Not only does Alpha encounter a race of immortal, chlorine “perfection seekers,” but also the architecture of their alien culture. In this case, that includes their defensive system: a ring of high-tech mechanical stations that build up energy, and radiate explosions into space; a kind of galactic “keep away” measure. 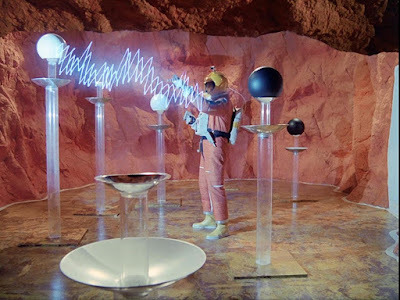 More impressively, the episode reveals the alien “Voice Probes,” a series of spherical machines that travel from interior system to interior system, “jumping” on to transparent rods or poles, to perform different functions. 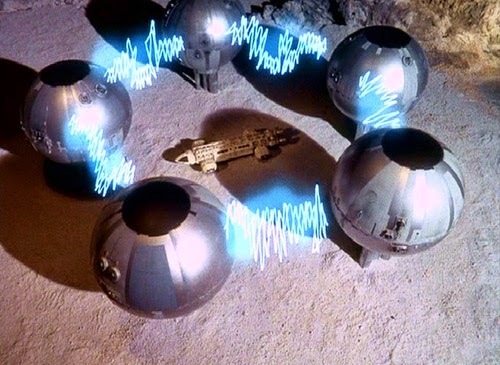 It is true that these probes are bouncing balls, filmed in reverse, with footage shown in slow-motion, but the concept is so creative and different from anything else in the sci-fi TV Valhalla that one cannot help but be impressed. When coupled with weird sound-effects, the depiction of the alien culture is remarkable. 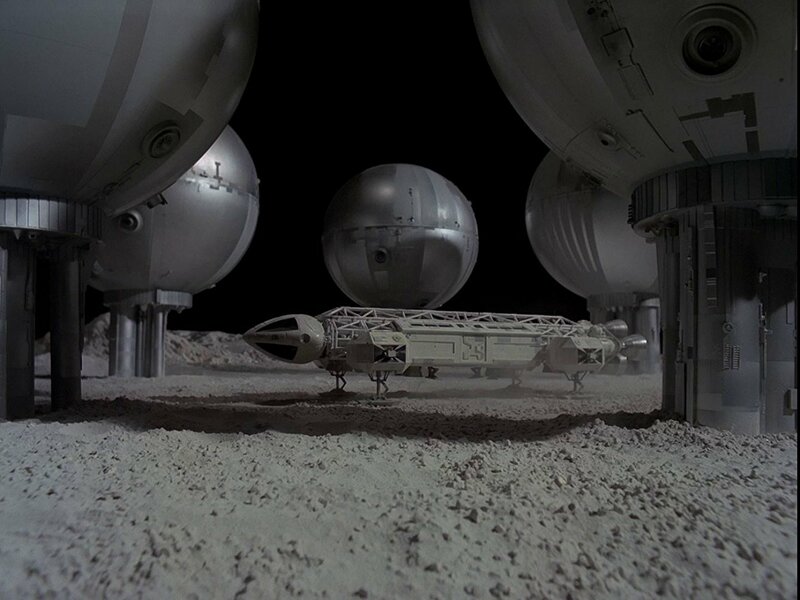 In some commendable manner, the episode also closely recalls the more desperate Alphans of the first season of Space: 1999. Faced with imminent annihilation, Commander Koenig recognizes “desperation” as his motive, and tries everything -- including a futile show of force (with an Eagle laser) -- to save his people. Later, when he realizes he has no cards left to play, Koenig voices his frustration with the aliens, but in an act of defiance and pure humanity, comes to see that “hope is better than despair,” and loyalty (to his people; and they to him) is "better than logic." It’s a great statement of philosophy, but more than that, a fine example of Koenig’s learning during the episode. He acts rashly and violently, out of fear, until he realizes, perhaps, that if he and his people are to die, they must do so with their key human qualities -- hope and loyalty -- intact. When Space: 1999 aired, it was often accused of being the pessimistic yang to Star Trek’s optimistic yin, and it is certainly clear why that was the case. 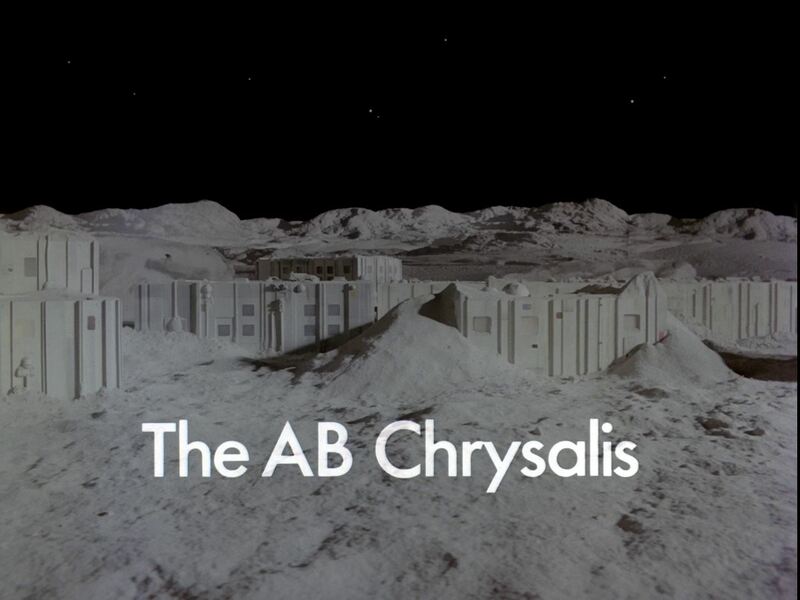 But episodes such as “The AB Chrysalis” feature their own unique brand of optimism. That optimism states, simply, that man can find his best -- and be his best -- even in the face of seemingly hopeless odds. The Alphans possess no rule-book of principles, no fleet infrastructure, no real resources to fall back. Instead, they must rely on themselves, and each other. Nowhere in Year Two, one might argue, is that bond more apparent than in this particular installment. There’s a wonderful moment, here, for example, near the end of the episode, when Koenig must tell Helena he has failed to stop the next detonation. And worse than failing, his Eagle does not even have enough fuel to carry him home to her; so they can die together. The characters must say their goodbyes, essentially, over Facetime, to use modern lingo. The characters say very little, but their expressions convey everything. It's a very human moment in a show that was accused of not having enough humanity. 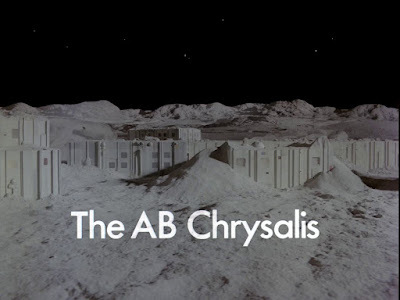 “The AB Chrysalis” succeeds, too, by creating, throughout its hour, all these mini-action sequences or climaxes. Maya must transform into a chlorine breather to save Alan from dying of the poison. Alan must pilot the Eagle straight up -- through the equivalent of a rock shaft -- with very little maneuvering room. And Koenig interacts with devices and people that are alien beyond immediate recognition or understanding. The story hops from dramatic moment to dramatic moment with aplomb, and shows how an action format, handled well, could have been applied successfully to the series overall. Not all stories in Year Two manage such a dynamic, successful mix, but “The AB Chrysalis” is smart, imaginative and emotionally engaging, as well as being splendidly-realized, action-packed, and highly creative. For my money, it’s one of the very best installments of the series’ second sortie. If you're not already aware Shoutfactorytv has been showing both seasons of Space on their website, in high def.